The P1 AquaX series is relatively new to the world of personal watercraft racing but long overdue. It’s a new style of watercraft competition for sea-riding enthusiasts who want to try watercraft racing but with out having to modify their Sea-Doo watercraft and competing in a relatively safe endurance style event. This weekend marks the third round of the US AquaX series taking place in Cape Canaveral, Florida. 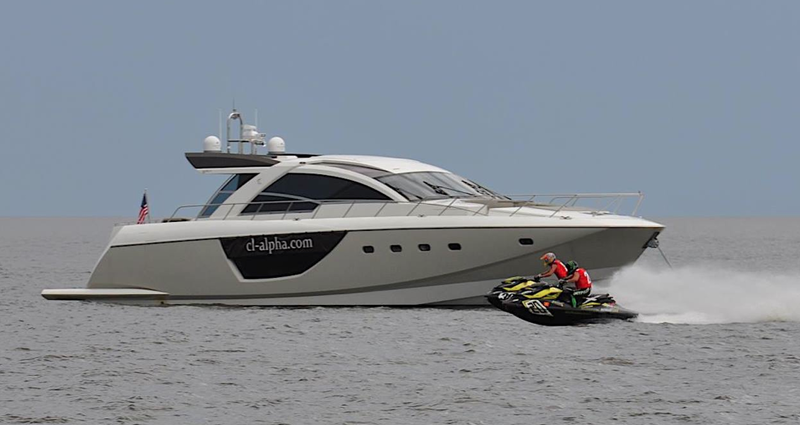 Powerboat P1 is the company behind the AquaX series. The company has a rich history in promoting powerboat racing, which includes hosting over 85 world championship events in their 9 years of business. 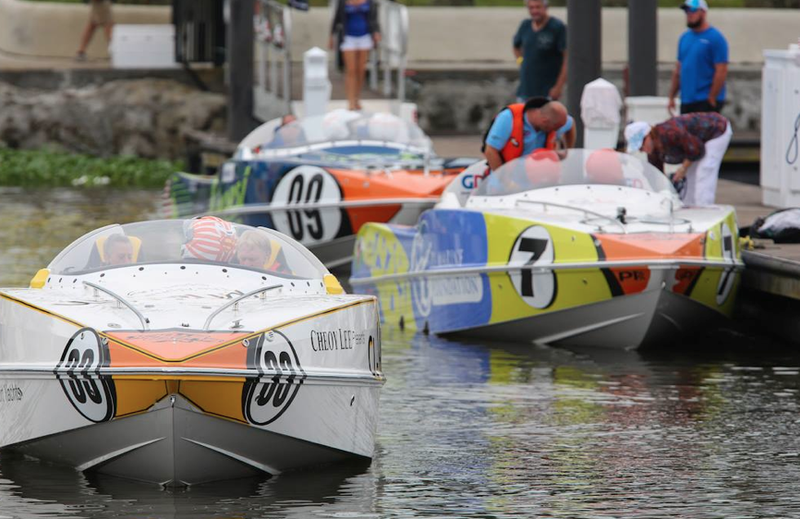 After acquiring the rights to the successful Formula Four-Stroke championships in 2009, they turned their attentions to building a low cost, powerboat racing series powered by Evinrude starting in the UK. By 2010, the series was rebranded to P1 Superstock and they launched the ‘Grand Prix of the Sea’, a festival of watersports touring high profile venues across the country. 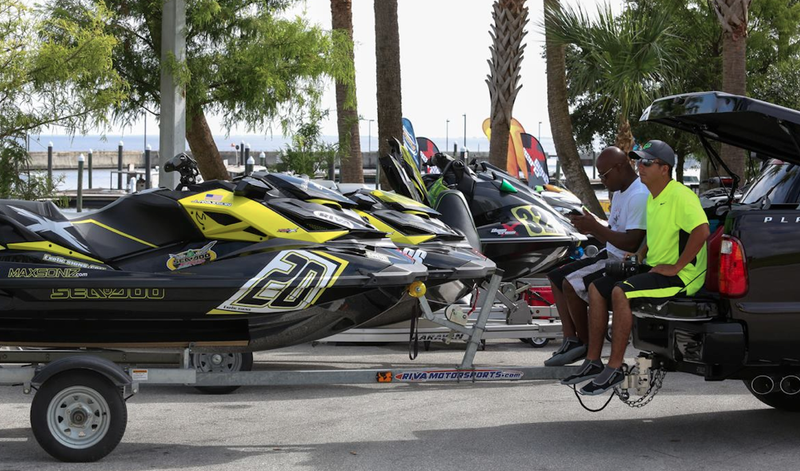 AquaX take its place alongside the Superstock boat series on the itinerary of events in what veteran watercraft racers are saying is the most professionally organized racing today. And as with SuperStock, P1’s interest in watercraft competition is based on building a sport from the ground up, hence AquaX is unlike any watercraft competition that’s gone before and is specifically geared towards attracting amateur riders to come along and have a go! And who knows, you just might become the next AquaX champion! AquaX is an exciting coastal challenge that offers a completely new experience for personal watercraft enthusiasts. 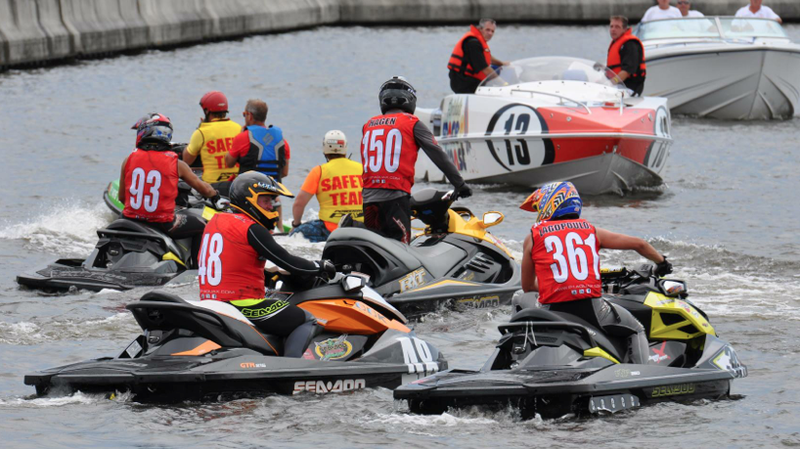 Unlike other watercraft competition where the majority of racing takes place inland and usually on technical tracks, AquaX events take place on the sea and large bodies of water. And because of the ever-changing coastal conditions, the rider’s skill prevails over horsepower, thus creating a level playing field for all. The courses are big, but fun to ride, giving the competitors the chance to open up their throttles and enjoy the full performance of their craft in a safe and controlled environment. The courses also provide a real sense of achievement for those who complete the task. The championship is made up of a series of events where competitors earn points towards overall championship titles. Competitors must take part in practice plus two races over the course of each event. The races take place on the Superstock boat courses, which are approximately 1.8nm long, and 30 – 40 minutes plus 1 lap in duration. No need to worry about getting lost, as the tracks are monitored by a highly trained crew of waterborne marshals ensuring everyone’s safety is paramount.